This is one actor that Joy and I both love to watch, and therefore tend to make a point to see each one of his movies. These are all a little old, but classics nonetheless. Which one do you think should be this week’s movie? There are several things that I’ve been meaning to tell you for many years now. I am confident you will find the following interesting, flattering, and at some points a little disconcerting. You’ve been my favourite superhero for the last (almost) 40 years, so I feel I owe this to you. Though your show was great, by far the greatest thing about it was the opening title sequence, specifically the first few seconds. 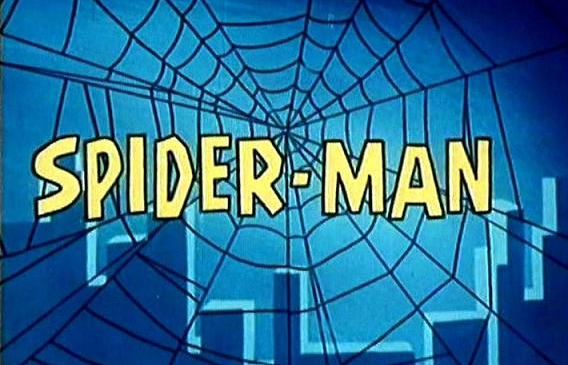 Seeing the name “Spider-Man” coming at the screen with a web backdrop as the title song bursted through our TV’s speakers was simply the stuff. I would literally jump out of my seat and clap in excitement! I wouldn’t have excitement like that again til my teen years when the Hulkster rescued the Macho Man from The HonkyTonk Man. That’s some powerful stuff Spidey. It is now 2017 and there’s this thing called a “meme.” I won’t go into detail, but by far the funniest memes of all are the ones taken from your show. You have the coolest villains, though some could stand to rethink their wardrobe. Scorpio looks menacing, but he also looks a little too much like Tigger and not enough like an actual scorpion. The Vulture could lose that white fur scarf. None of us know what that’s all about. Don’t even get me started on the Green Goblin’s oversized sleeping cap, ugly purse, and freakish ears. And for the sake of pure dignity please tell Elektro to lose that stupid lightning mask. I used to fantasize about being you and doing all kinds of fun stuff. Even dressed like you for Halloween. Thank you for protecting New York City during this difficult time. Clearly from your show it looks like it was an industrial wasteland with occasional people, all pretty thick and helpless. Any chance you can tell me why the police officers who read your notes that you left on your web-wrapped bad guys would read it like they were second graders? And why they would read the last part—”from your friendly neighbourhood Spider-Man”—as if they were super surprised. Considering they’d find, say, a lizard-man bound by giant spider webs, I figured they’d have had a hunch it was you. From what I understand, “wallopin’ websnappers” was never said in the comic, only on your show. I give you a stone face and slow clap for this. You had three years. THREE YEARS… and never once made a move on Betty Brant. Even when I was 7 I could tell she was into you. I realize you were a young man and that you would eventually find love with Gwen Stacy and Mary Jane, but three years man. That’s embarrassing. You were one of my favourite things about my childhood. Thank you for the memories. Congratulations Spider-Man (2002). This is your week. Best Actress: Emma Stone as Gwen Stacy in The Amazing Spider-Man (2012). Best Quote: “Dear, we agreed to put on a wedding, not go into bankruptcy… Caviar? Who are we inviting, the czar? 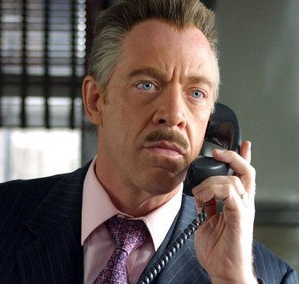 Get some cheese and crackers… some of those little cocktail weenies…” — J. Jonah Jameson talking on the phone to his wife in Spider-Man 2. Spider-Man: Homecoming is opening in theatres this summer, so it’s a good time to stop and make for ourselves a bit of a review. 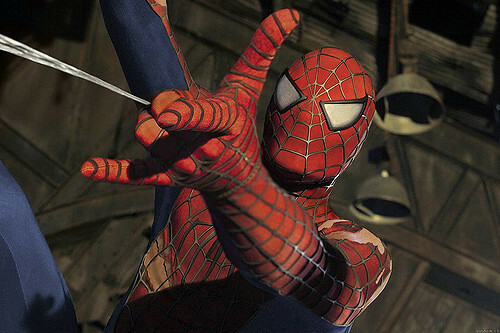 In your opinion, which is the greatest Spidey movie to date? I was a ten, maybe 11 and I was about to see a grown man eaten alive. My friend and I, along with at least one of my siblings, were watching Jaws on TV while the adults chatted it up in the kitchen. I was scared out of my wits, but I loved it. What I saw, of course, wasn’t really a man getting eaten alive. I was watching a man playing in the water. He was literally pretending to be fighting for his life with a giant toy shark. But that didn’t matter. I was wrapped in the story and in the moment. His acting, the camera work, the props, the fake blood—it all worked on me. We all know that in movies we aren’t really seeing what it appears that we’re seeing. And there are moments that we talk about where we saw a scene and it got to us. Those that really do this well are the ones that draw our imaginations in and make us think we’re seeing something that we’re not. American History X has a scene like that. Another movie famously has a human head in a box in the story (For those of you who saw the movie, you know. For those of you who haven’t, I won’t say which one it is so as not to spoil). 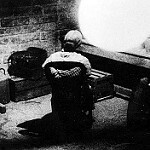 Many viewers will swear up and down that they saw a small glimpse of the head. But they didn’t. Their mind tells them they saw it, but that doesn’t change what is actually shown on screen. Others who have watched the movie more than once will insist that the reason why so many people think they see the head is because a blonde hair or two blows in the wind, peeking up out of the box. But nope. That’s not there either. The psychology in the storytelling is so powerful that we are duped into seeing what’s not there. Sometimes I think our difficulty with seeing certain scenes in movies is more about us than about what’s in the scene. I mean, it is true that a lot of movies are immoderate with their depiction of violence or graphic situations, but the ones we all talk about that freaked us out are often ones that show considerable restraint. The arm in 127 Hours. The ear in Reservoir Dogs. 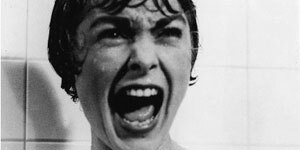 The shower in Psycho. American History X is not the easiest movie to watch. It makes you face things you’d rather not face. It’s not enough to simply say, “I can’t handle that.” It’s important to ask yourself why you can’t. Talk about the subjects that these movies expose us to. Learn more about the subject. Learn more about yourself. 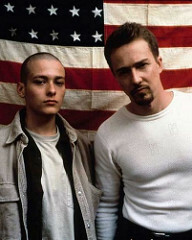 Congratulations American History X. This is your week. 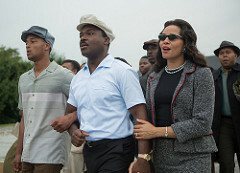 Best Actress: Carmen Ejogo as Coretta Scott King in Selma. Best Actor: Edward Norton as Derek Vinyard in American History X. Best Quote: “My son is dying, and I’m broke. If I don’t qualify for Medicare, WHO THE HELL DOES?” — Denzel Washington as John Q. Archibald. Again, just to confirm, I do agree that there are many movies that seem to wallow in their own gore and/or shocking content. But movies that not only fit the description above, but also have something important to say to us today should get a pass. Or at least a chance. This is such a critical and relevant topic for all of us, and we probably should be watching more of these kinds of movies. Which one would you choose to be this week’s movie? In the past I’ve written about great movie moms, but this year I say we spotlight the bad ones. In fact, if you’re a mom and you wonder sometimes if you are good enough, well this post might just make you feel like the best in the world. 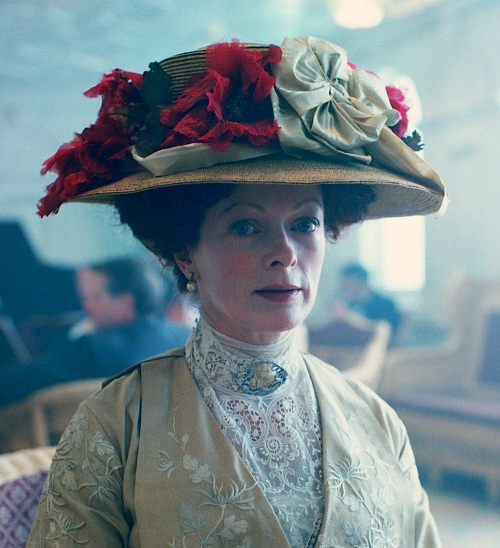 Ruth Dewitt Bukater, Titanic (1997). This mom deserves her #10 spot seeing as she really wanted what was best for her daughter, but her misguided intentions are both cruel and selfish. A good mom would want her child to be free and happy. The Queen, Snow White and the Seven Dwarfs (1937). This stepmom is so evil that she puts her own life in jeopardy to destroy the child she is supposed to love and care for. I always thought it was ironic that her plan was to kill Snow because she was jealous of her beauty and replaced her as “fairest one of all,” and to accomplish her goal she turns herself into an ugly old crone. Welp, suit yourself. You’re the Queen. Knock yourself out. 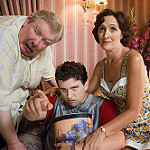 Aunt Petunia Dursley, Harry Potter and the Sorcerer’s Stone (2001). This mom takes in her nephew and treats him like crap. Perhaps worse, she treats her biological son as if he’s more important than said nephew and gives him too big a head, resulting in his becoming a huge deuce. Bad form Petunia! 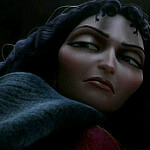 Mother Gothel, Tangled (2010). Wow. So selfish that you’re willing imprison your child in a tower? And then have the gall to guilt her when she suggests leaving? Sheesh! 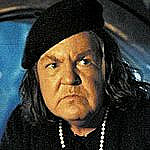 Mama Fratelli, The Goonies (1985). She gets her boys to do her evil bidding which involves scaring and attempting to harm (and kill?) other children. 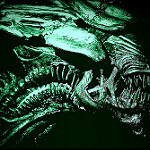 The Alien Queen, Aliens 2 (1986). Hmmm. Maybe I just find her such a bad mom because she’s big, ugly, and tries to kill humans. But I’m sure that’s reason enough. Mary Johnston, Precious (2009). Mo’Nique won an Academy Award for her performance as a bad mom. I actually don’t want to tell you why she’s bad because it would spoil the movie. It’s heart-wrenching, but so good. And yes, you’ll probably hate Mary. Norma Bates, Psycho (1960). Again, you really need to see this movie. But I can tell you that the reason she’s a bad mother is in the title. 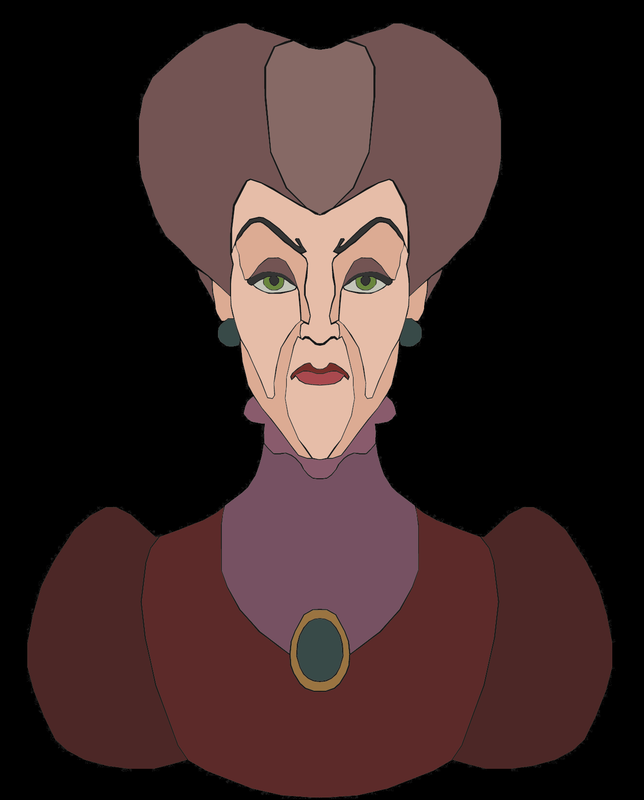 Lady Tremaine, Cinderella (1950). I remember watching clips of this movie when I was a young child. Words can’t express how much I hated this woman! When she is giving Cinderella her orders while drinking tea in bed she personifies evil. Congratulations The Blind Side. This is your week. Best Actress: Linda Hamilton as Sarah Connor in Terminator 2: Judgment Day. This was definitely the movie—and the movie mom—that I would have picked. 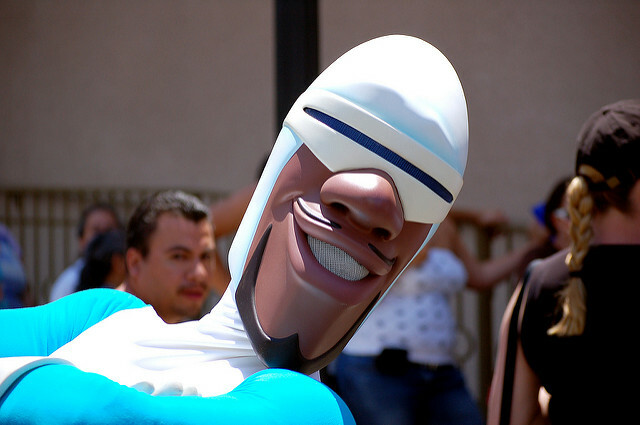 Best Actor: Samuel L. Jackson as Frozone in The Incredibles. Best Quote: “Hey… crotchmouth! Yeah, you! Zip it, or I’ll come up there and zip if for ya!” — Sandra Bullock as Leigh Anne Touhy, yelling at a redneck heckler at a football game in The Blind Side. Mother’s Day is coming and AMC has a running list of the greatest movie moms based on user votes. You can go there and vote yourself, though right now the #1 is Sally Field as Mrs. Gump in Forrest Gump. Below are the #2, #3, and #4 spots. Which of them do you think should be our Mother’s Day Movie of the Week? P.S. Do you agree with the top pics on AMC’s site? 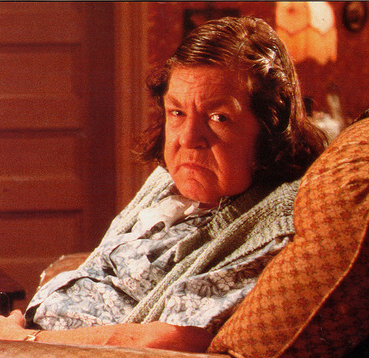 If not, feel free to share who you think should be considered amoung the greatest of movie moms.